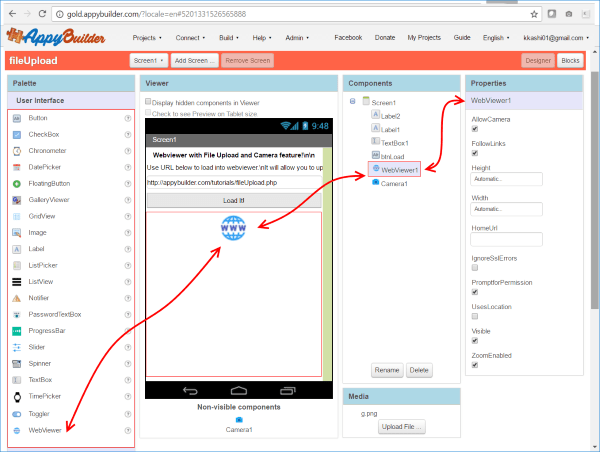 ← Build Mobile Apps using Drag-N-Drop! 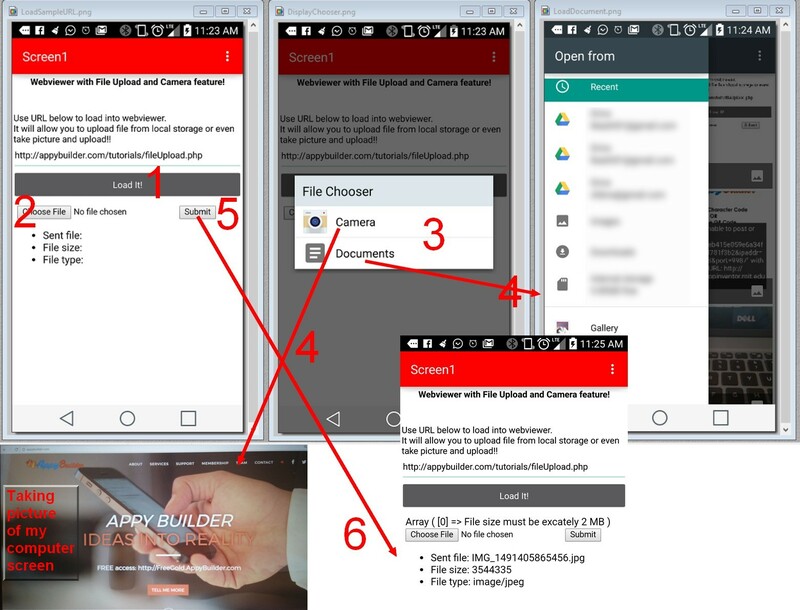 The GOLD version, now includes support for uploading files from local mobile storage. 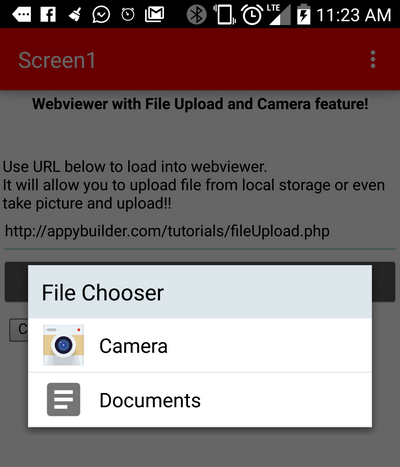 It also includes support for taking pictures and directly uploading the file onto server! 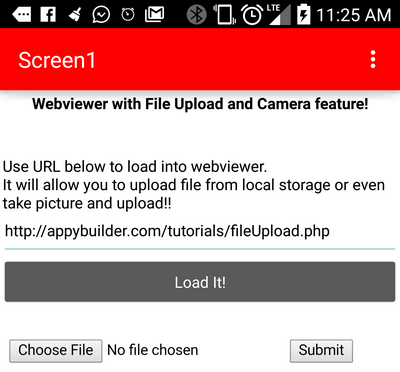 This feature can be very handy for such sites as Facebook or for example allowing user to upload a local file or to take a picture and directly passing it remote server. 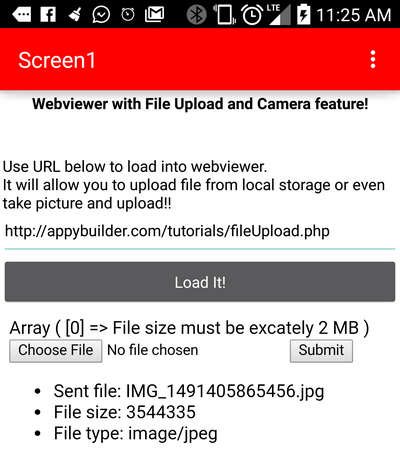 To use Webviewer, drag-N-drop this component onto design-editor and you’ll see a property named AllowCamera. is it possible to upload mp4 file? 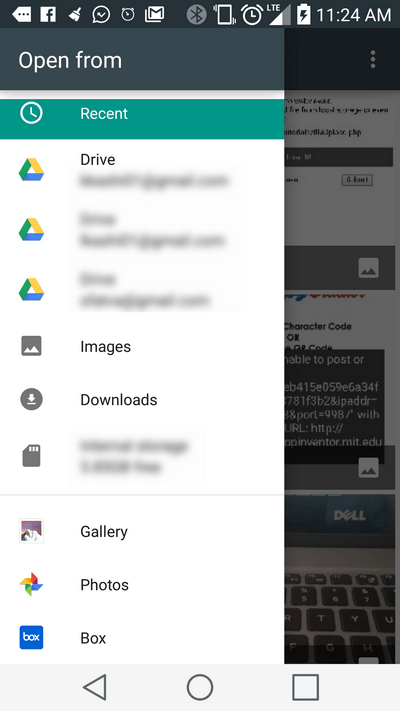 What component or block did you use to be able to select documents for local storage?